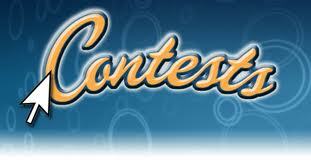 A contest is arguably the most important content type that a marketer can create to boost engagement on Facebook. A properly done contest can get you many new fans, which you will find hard to acquire by other means, and an improperly done contest can not only cost you time, money, and energy, but it may also raise a red flag which may get you banned from Facebook. In order to save yourself from getting kicked from Facebook, you should know the common Facebook contest promotion guidelines that companies violate. You can visit the following link to know about the most common guidelines that a promotion typically violates. But that comes later, first you need to know about the third-part apps that you can use to run your own contest. I am going to list top 5 such apps in the following paragraphs. WooBox is not a tool, it is a set of tools that help a marketer run all kinds of promotions, contests, and sweepstakes. You can use this social marketing suite to generate coupons, run photo contests, create HTML fangate, video contests, polls, and group deals etc. The marketing suite also helps you integrate your other social profiles like Twitter, Pinterest, Instagram, and YouTube as tabs on Facebook. By using this social marketing suite you can convert your Facebook page into a marketing machine. The plans for WooBox start with $1/month and goes up to $249/month. There is a free plan as well, which you can use to integrate your other social media profiles in different tabs on Facebook and to create a fangate, but it does not allow you to create a contest. Like WooBox, Wildfire is a set of tools that helps businesses of all size run and mange social promotions and ad campaign on both mobile and desktop. Google owns the company, so one can safely assume that the marketing suite will come with an excellent analytics and ad management packages. The website claims that it has more than 21,000 paying customers. The list includes likes of Amazon, Cisco, GAP, Puma, Virgin Atlantic, Nivea, KFC, Sony, and Unilever, etc. It has two plans under social marketing suite, namely Pro and Enterprise, and one custom social ads. For price, one needs to contact the sales department. North Social is another option you can try to run contests on your Facebook page. The company calls its offering a “buffet style” offering that helps a business cover every aspect of a emphatic Facebook presence. The suite provides 18 tools to cover all of Facebook, including creation of a like gate. The plans for the marketing suite starts from $1.99/day and go up to $5.99/day, and its clientèle includes likes of monster.com, JVC, Sony Music, Hyatt, Media Temple, Seagram’s, AOL, Virgin, MSN, and Oracle, etc. Shortstack is another set of tools that helps you maximize your social media presence and create contests that can get viral. The social marketing suite contains more than 30 tools which can work on Facebook, mobile, websites, and blogs to create contests, sweepstakes, fangates, etc., along with integrating other social media profiles and newsletter sign-up form with your Facebook page. And for all these you just have to pay an upward of $30 a month should you wish to have some additional features along side the basic ones that comes for free for a Facebook fan page with 2000 fans, tops. Wishpond is another tool that provides a marketer with various tools that will help her create various kinds of Facebook promotions like sweepstakes, photo contests, video contests, photo caption contests, etc. The multi-channel integration of the tool allows you to reach your audience on mobile as well. The tools are quick to set up and easy to use. The plans start from $19/month and goes up to $97/month. Each plan comes with a 14-days free trial.